A marvelous pair of long black cotton knit stockings, hosiery, dating from the 1920’s. The pair would fit a baby or child toddler. Or suitable for a doll. 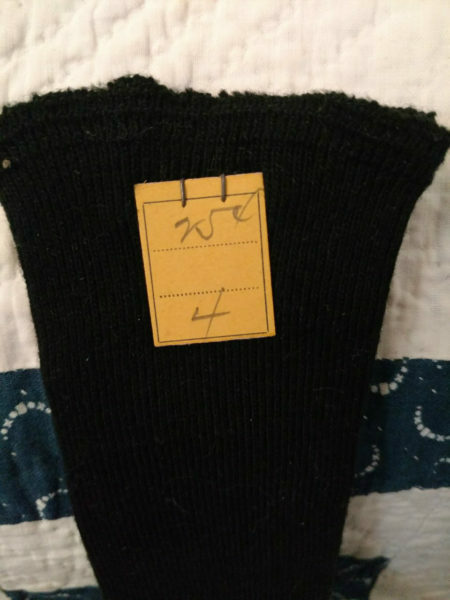 These great stockings still have the original price tag of $.25 and marked size 4.